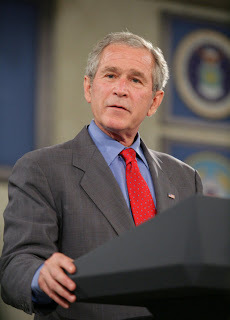 Below is the speech that President Bush gave Tuesday, July 24, 2007, at the Charleston Air Base. If you would like to by-pass this, you may do so by looking at my headlines on the sidebar. (Look for the orange 'Feed' button. It is those headlines that keep changing.) Just click it to go to the one you like. I am putting the whole speech here, because I have not heard a word about this except that it is supposed to be good and no one is going to read it because there are more important things happening. Don't you know? There was another debate--yawn--and some chick got arrested for drunk driving. I see. And when the President of the United States gives a speech on the state of the war that the jihadists have waged against us, this is potato chips? Nothing? That is why I took up so much space. If they do not be careful, I'll start printing everything over at the White House! I may be picking it apart with great joy or sorrow, but at least someone will know what is going on around here. Fact Sheet: Al Qaeda in Iraq. THE PRESIDENT: Thank you all. Please be seated. Thank you, Colonel. Thanks for the hospitality and kind introduction. 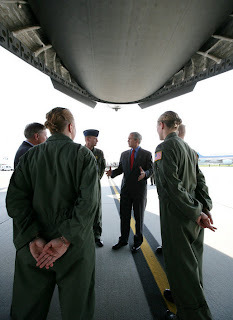 I'm proud to be with the men and women of the Air Force, the Navy, the Marines, the Army and the Coast Guard. Thanks for serving. 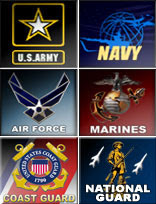 Thanks for wearing the uniform of the United States of America. I'm proud to be back here in the great state of South Carolina. I'm proud to be with some of the Palmetto State's finest citizens. I'm glad to be eating lunch with you. The food is pretty good, Colonel. (Laughter.) I always like a good barbecue. 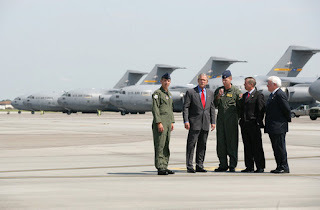 I appreciate Colonel Millander leading the 437th Airlift Wing here at the Charleston Airbase. Thank you for the tour. Nice big airplanes carrying a lot of cargo. And it's good to see the amazing operations that take place here to keep our troops supplied. I'm honored here to be with Deb, as well. That's Red's wife. I call him Red; you call him Colonel. He did a smart thing; he married a woman from Texas. (Applause.) So did I. (Laughter.) And Laura sends her very best to you all. I'm proud to be here with Mark Bauknight -- Colonel Bauknight -- Acting Commander of they're 315th Airlift Wing, and his wife Leslie. 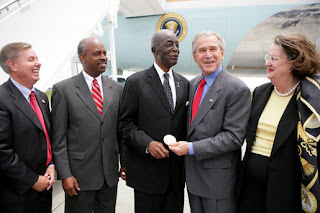 This base is represented by Congressman Henry Brown, of South Carolina. (Applause.) He understands what I understand; when we have somebody in harm's way, that person deserves the full support of the Congress and the President. And you'll have the full support of the President of the United States during this war against these radicals and extremists. I appreciate the Lieutenant Governor of this state, Andre Bauer. Thanks for coming, Governor. I'm proud to be here with the Speaker of the House of Representatives for South Carolina, State Representative Bobby Harrell. Mr. Speaker, thanks for coming. We've got some mayors with us, and I appreciate the mayors being here today: Mayor Riley, Mayor Hallman, Mayor Summey. I'm honored that you all would take time out of your busy schedule to come by and pay tribute to these men and women who serve our nation so ably. I'm proud to be with Chairman Tim Scott of the Charleston County Council. I'm proud to be with other state and local officials. And I'm really glad to be with you all. Thank you for your courage. Since the attacks of September the 11th, 2001, the Airmen of Team Charleston have deployed across the globe in support in the war on terror. 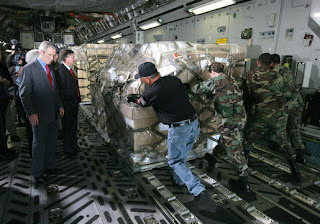 During the liberation of Afghanistan, air crews from Team Charleston flew hundreds of sorties to transport troops and deliver supplies, and help the liberation of 25 million people. Team Charleston is playing a crucial role in Iraq. Every day C-17s lift off from Charleston carrying tons of vital supplies for our troops on the front lines. Your efforts are saving lives and you're bringing security to this country. Every member of Team Charleston can take pride in a great record of accomplishment. And America is grateful for your courage in the cause of freedom. And your courage is needed. Nearly six years after the 9/11 attacks, America remains a nation at war. The terrorist network that attacked us that day is determined to strike our country again, and we must do everything in our power to stop them. 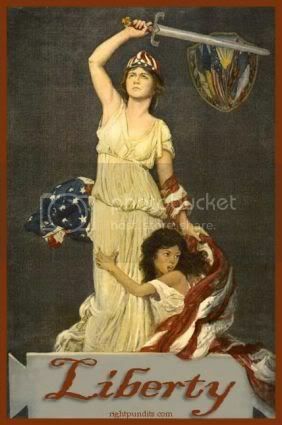 A key lesson of September the 11th is that the best way to protect America is to go on the offense, to fight the terrorists overseas so we don't have to face them here at home. And that is exactly what our men and women in uniform are doing across the world. The key theater in this global war is Iraq. Our troops are serving bravely in that country. They're opposing ruthless enemies, and no enemy is more ruthless in Iraq than al Qaeda. They send suicide bombers into crowded markets; they behead innocent captives and they murder American troops. They want to bring down Iraq's democracy so they can use that nation as a terrorist safe haven for attacks against our country. So our troops are standing strong with nearly 12 million Iraqis who voted for a future of peace, and they so for the security of Iraq and the safety of American citizens. There's a debate in Washington about Iraq, and nothing wrong with a healthy debate. There's also a debate about al Qaeda's role in Iraq. Some say that Iraq is not part of the broader war on terror. They complain when I say that the al Qaeda terrorists we face in Iraq are part of the same enemy that attacked us on September the 11th, 2001. They claim that the organization called al Qaeda in Iraq is an Iraqi phenomenon, that it's independent of Osama bin Laden and that it's not interested in attacking America. Today I will consider the arguments of those who say that al Qaeda and al Qaeda in Iraq are separate entities. I will explain why they are both part of the same terrorist network -- and why they are dangerous to our country. A good place to start is with some basic facts: Al Qaeda in Iraq was founded by a Jordanian terrorist, not an Iraqi. His name was Abu Musab al Zarqawi. Before 9/11, he ran a terrorist camp in Afghanistan. He was not yet a member of al Qaida, but our intelligence community reports that he had longstanding relations with senior al Qaida leaders, that he had met with Osama bin Laden and his chief deputy, Zawahiri. In 2001, coalition forces destroyed Zarqawi's Afghan training camp, and he fled the country and he went to Iraq, where he set up operations with terrorist associates long before the arrival of coalition forces. In the violence and instability following Saddam's fall, Zarqawi was able to expand dramatically the size, scope, and lethality of his operation. In 2004, Zarqawi and his terrorist group formally joined al Qaida, pledged allegiance to Osama bin Laden, and he promised to "follow his orders in jihad." Soon after, bin Laden publicly declared that Zarqawi was the "Prince of Al Qaida in Iraq" -- and instructed terrorists in Iraq to "listen to him and obey him." It's hard to argue that al Qaida in Iraq is separate from bin Laden's al Qaida, when the leader of al Qaida in Iraq took an oath of allegiance to Osama bin Laden. According to our intelligence community, the Zarqawi-bin Laden merger gave al Qaida in Iraq -- quote -- "prestige among potential recruits and financiers." The merger also gave al Qaida's senior leadership -- quote -- "a foothold in Iraq to extend its geographic presence ... to plot external operations ... and to tout the centrality of the jihad in Iraq to solicit direct monetary support elsewhere." The merger between al Qaida and its Iraqi affiliate is an alliance of killers -- and that is why the finest military in the world is on their trail. Zarqawi was killed by U.S. forces in June 2006. He was replaced by another foreigner -- an Egyptian named Abu Ayyub al-Masri. His ties to the al Qaida senior leadership are deep and longstanding. He has collaborated with Zawahiri for more than two decades. And before 9/11, he spent time with al Qaida in Afghanistan where he taught classes indoctrinating others in al Qaida's radical ideology. After Abu Ayyub took over al Qaida's Iraqi operations last year, Osama bin Laden sent a terrorist leader named Abd al-Hadi al Iraqi to help him. According to our intelligence community, this man was a senior advisor to bin Laden, who served as his top commander in Afghanistan. Abd al-Hadi never made it to Iraq. He was captured, and was recently transferred to the U.S. Naval Base at Guantanamo Bay. The fact that bin Laden risked sending one of his most valued commanders to Iraq shows the importance he places on success of al Qaida's Iraqi operations. According to our intelligence community, many of al Qaida in Iraq's other senior leaders are also foreign terrorists. They include a Syrian who is al Qaida in Iraq's emir in Baghdad, a Saudi who is al Qaida in Iraq's top spiritual and legal advisor, an Egyptian who fought in Afghanistan in the 1990s and who has met with Osama bin Laden, a Tunisian who we believe plays a key role in managing foreign fighters. Last month in Iraq, we killed a senior al Qaida facilitator named Mehmet Yilmaz, a Turkish national who fought with al Qaida in Afghanistan, and met with September the 11th mastermind Khalid Shaikh Muhammad, and other senior al Qaida leaders. A few weeks ago, we captured a senior al Qaida in Iraq leader named Mashadani. Now, this terrorist is an Iraqi. In fact, he was the highest ranking Iraqi in the organization. Here's what he said, here's what he told us: The foreign leaders of Al Qaida in Iraq went to extraordinary lengths to promote the fiction that al Qaida in Iraq is an Iraqi-led operation. He says al Qaida even created a figurehead whom they named Omar al-Baghdadi. The purpose was to make Iraqi fighters believe they were following the orders of an Iraqi instead of a foreigner. Yet once in custody, Mashadani revealed that al-Baghdadi is only an actor. He confirmed our intelligence that foreigners are at the top echelons of al Qaida in Iraq -- they are the leaders -- and that foreign leaders make most of the operational decisions, not Iraqis. Foreign terrorists also account for most of the suicide bombings in Iraq. Our military estimates that between 80 and 90 percent of suicide attacks in Iraq are carried out by foreign-born al Qaida terrorists. It's true that today most of al Qaida in Iraq's rank and file fighters and some of its leadership are Iraqi. But to focus exclusively on this single fact is to ignore the larger truth: Al Qaida in Iraq is a group founded by foreign terrorists, led largely by foreign terrorists, and loyal to a foreign terrorist leader -- Osama bin Laden. They know they're al Qaida. The Iraqi people know they are al Qaida. People across the Muslim world know they are al Qaida. And there's a good reason they are called al Qaida in Iraq: They are al Qaida ... in ... Iraq. Some also assert that al Qaida in Iraq is a separate organization because al Qaida's central command lacks full operational control over it. This argument reveals a lack of understanding. Here is how al Qaida's global terrorist network actually operates. Al Qaida and its affiliate organizations are a loose network of terrorist groups that are united by a common ideology and shared objectives, and have differing levels of collaboration with the al Qaida senior leadership. In some cases, these groups have formally merged into al Qaida and take what is called a "bayaat" -- a pledge of loyalty to Osama bin Laden. In other cases, organizations are not formally merged with al Qaida, but collaborate closely with al Qaida leaders to plot attacks and advance their shared ideology. In still other cases, there are small cells of terrorists that are not part of al Qaida or any other broader terrorist group, but maintain contact with al Qaida leaders and are inspired by its ideology to conduct attacks. Our intelligence community assesses that al Qaida in Iraq falls into the first of these categories. They are a full member of the al Qaida terrorist network. The al Qaida leadership provides strategic guidance to their Iraqi operatives. Even so, there have been disagreements -- important disagreements -- between the leaders, Osama bin Laden and their Iraqi counterparts, including Zawahiri's criticism of Zarqawi's relentless attacks on the Shia. But our intelligence community reports that al Qaida's senior leaders generally defer to their Iraqi-based commanders when it comes to internal operations, because distance and security concerns preclude day-to-day command authority. Our intelligence community concludes that -- quote -- "Al Qaida and its regional node in Iraq are united in their overarching strategy." And they say that al Qaida senior leaders and their operatives in Iraq -- quote -- "see al Qaida in Iraq as part of al Qaida's decentralized chain of command, not as a separate group." Here's the bottom line: Al Qaida in Iraq is run by foreign leaders loyal to Osama bin Laden. Like bin Laden, they are cold-blooded killers who murder the innocent to achieve al Qaida's political objectives. Yet despite all the evidence, some will tell you that al Qaida in Iraq is not really al Qaida -- and not really a threat to America. Well, that's like watching a man walk into a bank with a mask and a gun, and saying he's probably just there to cash a check. There are others who accept that al Qaida is operating in Iraq, but say its role is overstated. Al Qaida is one of the several Sunni jihadist groups in Iraq. But our intelligence community believes that al Qaida is the most dangerous of these Sunni jihadist groups for several reasons: First, more than any other group, al Qaida is behind most of the spectacular, high-casualty attacks that you see on your TV screens. Second, these al Qaida attacks are designed to accelerate sectarian violence, by attacking Shia in hopes of sparking reprisal attacks that inspire Sunnis to join al Qaida's cause. Third, al Qaida is the only jihadist group in Iraq with stated ambitions to make the country a base for attacks outside Iraq. For example, al Qaida in Iraq dispatched terrorists who bombed a wedding reception in Jordan. In another case, they sent operatives to Jordan where they attempted to launch a rocket attack on U.S. Navy ships in the Red Sea. And most important for the people who wonder if the fight in Iraq is worth it, al Qaida in Iraq shares Osama bin Laden's goal of making Iraq a base for its radical Islamic empire, and using it as a safe haven for attacks on America. That is why our intelligence community reports -- and I quote -- "compared with [other leading Sunni jihadist groups], al Qaida in Iraq stands out for its extremism, unmatched operational strength, foreign leadership, and determination to take the jihad beyond Iraq's borders." Some note that al Qaida in Iraq did not exist until the U.S. invasion -- and argue that it is a problem of our own making. The argument follows the flawed logic that terrorism is caused by American actions. Iraq is not the reason that the terrorists are at war with us. We were not in Iraq when the terrorists bombed the World Trade Center in 1993. We were not in Iraq when they attacked our embassies in Kenya and Tanzania. We were not in Iraq when they attacked the USS Cole in 2000. And we were not in Iraq on September the 11th, 2001. Our action to remove Saddam Hussein did not start the terrorist violence -- and America withdrawal from Iraq would not end it. The al Qaida terrorists now blowing themselves up in Iraq are dedicated extremists who have made killing the innocent the calling of their lives. They are part of a network that has murdered men, women, and children in London and Madrid; slaughtered fellow Muslims in Istanbul and Casablanca, Riyadh, Jakarta, and elsewhere around the world. If we were not fighting these al Qaida extremists and terrorists in Iraq, they would not be leading productive lives of service and charity. Most would be trying to kill Americans and other civilians elsewhere -- in Afghanistan, or other foreign capitals, or on the streets of our own cities. Al Qaida is in Iraq -- and they're there for a reason. And surrendering the future of Iraq to al Qaida would be a disaster for our country. We know their intentions. Hear the words of al Qaida's top commander in Iraq when he issued an audio statement in which he said he will not rest until he has attacked our nation's capital. If we were to cede Iraq to men like this, we would leave them free to operate from a safe haven which they could use to launch new attacks on our country. And al Qaida would gain prestige amongst the extremists across the Muslim world as the terrorist network that faced down America and forced us into retreat. If we were to allow this to happen, sectarian violence in Iraq could increase dramatically, raising the prospect of mass casualties. Fighting could engulf the entire region in chaos, and we would soon face a Middle East dominated by Islamic extremists who would pursue nuclear weapons, and use their control of oil for economic blackmail or to fund new attacks on our nation. We've already seen how al Qaida used a failed state thousands of miles from our shores to bring death and destruction to the streets of our cities -- and we must not allow them to do so again. So, however difficult the fight is in Iraq, we must win it. And we can win it. Less than a year ago, Anbar Province was al Qaida's base in Iraq and was written off by many as lost. Since then, U.S. and Iraqi forces have teamed with Sunni sheiks who have turned against al Qaida. Hundreds have been killed or captured. Terrorists have been driven from most of the population centers. Our troops are now working to replicate the success in Anbar in other parts of the country. Our brave men and women are taking risks, and they're showing courage, and we're making progress. Thanks for letting me come by today. I've explained the connection between al Qaida and its Iraqi affiliate. I presented intelligence that clearly establishes this connection. The facts are that al Qaida terrorists killed Americans on 9/11, they're fighting us in Iraq and across the world, and they are plotting to kill Americans here at home again. Those who justify withdrawing our troops from Iraq by denying the threat of al Qaida in Iraq and its ties to Osama bin Laden ignore the clear consequences of such a retreat. If we were to follow their advice, it would be dangerous for the world -- and disastrous for America. We will defeat al Qaida in Iraq. In this effort, we're counting on the brave men and women represented in this room. Every man and woman who serves at this base and around the world is playing a vital role in this war on terror. With your selfless spirit and devotion to duty, we will confront this mortal threat to our country -- and we're going to prevail. 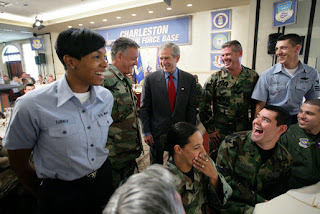 Bush needs to do more of this. Rosemary, Please read my latest post and spread the word. NIAC is the Persian equivalnet of CAIR.